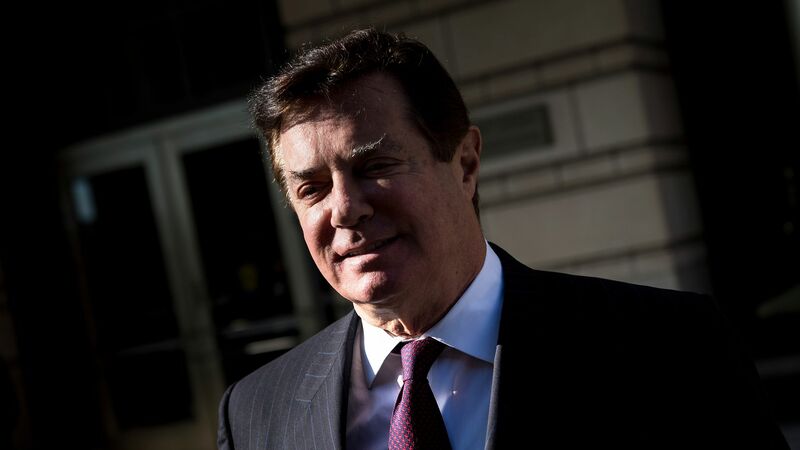 Former Trump campaign chairman Paul Manafort is set to begin his trial today in Alexandria, Va., where he faces charges of tax and bank fraud related to the laundering of $30 million worth of income. Why it matters: This is the first trial of special counsel Robert Mueller's investigation into the Trump campaign and its possible ties to Russian interference in the 2016 election. Mueller's team is not expected to make any reference to the words "Russians" or "collusion," per ABC News, but will instead focus on Manafort's alleged financial crimes, including those related to his political work as a lobbyist in Ukraine. In his indictment, Mueller alleges that Manafort acted as an unregistered agent of a foreign government from at least 2006 to 2015 while representing the pro-Putin government of Ukraine. Manafort and his associate Rick Gates, who reached a plea bargain with Mueller in February, allegedly engaged in a scheme to hide tens of millions of dollars in income through offshore accounts in order to avoid paying taxes. When the money from Ukraine dried up, Manafort defrauded several U.S. banks in order to secure loans of more than $20 million and continue living "a lavish lifestyle" in the U.S, where he spent money on things like custom-made suits, Range Rovers, and Persian rugs. Mueller's prosecutors plan to call 35 witnesses over the course of the three-week trial, many of whom will reportedly attest to Manafort's luxury spending habits, per NPR. The big picture: Manafort is 69 and faces the very real possibility of life in prison if he's convicted, and yet he has refused to plead guilty or cooperate with the special counsel. In June, President Trump's lawyer Rudy Giuliani did not rule out the possibility of issuing a pardon for Manafort once the investigation was over. Renato Mariotti, a former federal prosecutor, recently told Vox that Manafort basically only has two real options at this point: prison or pardon. "The man is facing charges in two different jurisdictions, a variety of federal charges carrying very substantial penalties, but for whatever reason, he has decided not to plead guilty, not to flip. My speculation would be that’s because he’s hoping for a pardon or expecting a pardon, and if you’re expecting a pardon at the end, there’s no real downside in going to trial, as long as you feel confident you’ll get a pardon eventually."